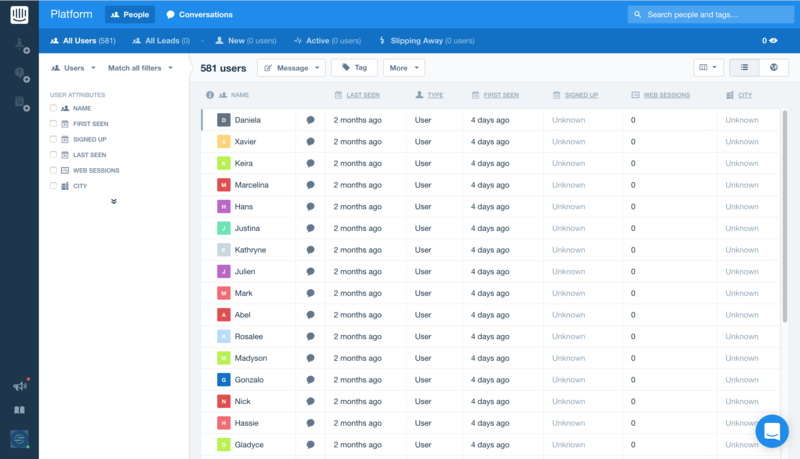 Track and filter customer data with user profiles compiled across the suite of Intercom products. Machine learning powers saved reply prompts and suggests new entries for knowledge base. Messages can be set to trigger over any channel, in a variety of appearance options, and filtered to custom user groups. 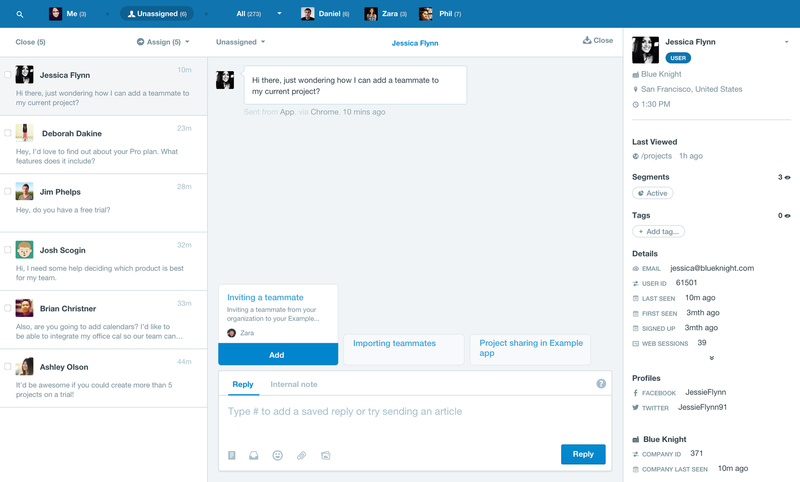 Intercom is both an integration and a cloud source for Segment. As an integration, your customer data in Segment can be piped directly into Intercom so that you can begin messaging customers based on their behavior. For example, you may want to message customers that saw a new feature but haven’t actually used it yet. As a cloud source, Segment pulls all your Intercom data into your data warehouse alongside your customer event data. This means you’ll be able to analyze your Intercom contacts, companies and conversations in SQL. 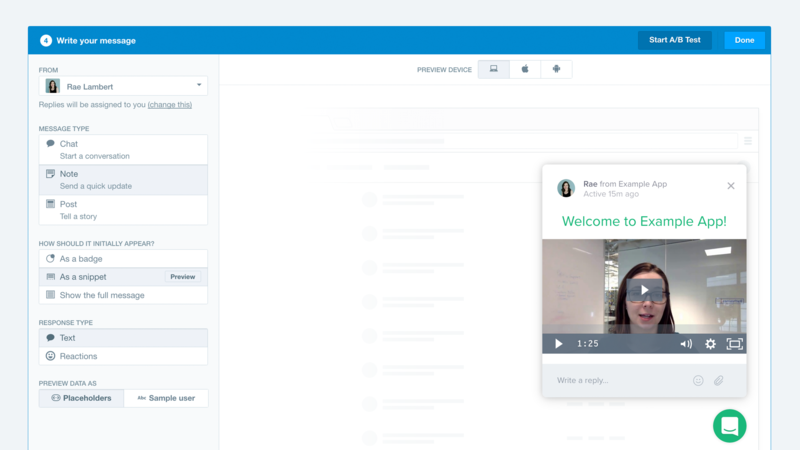 You’ll also be able to join your Intercom data with the Segment event data you’re already sending into your warehouse, so you can do things like analyze the impact of an Intercom in-app messaging campaign impact on product adoption using your favorite business intelligence and SQL querying tools.